A star on Earth shows us the way. 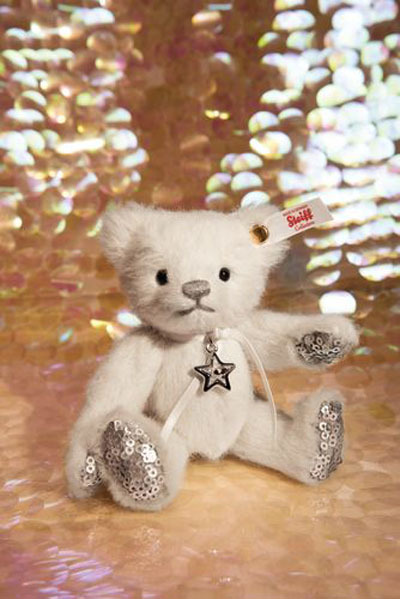 This year, Stella Teddy bear sets out on her journey as a heavenly ambassador. She blends in almost unnoticed with the colourful hustle and bustle of the pre-Christmas season, conveying a calming sense of wisdom together with the silver light of countless stars from the Milky Way. 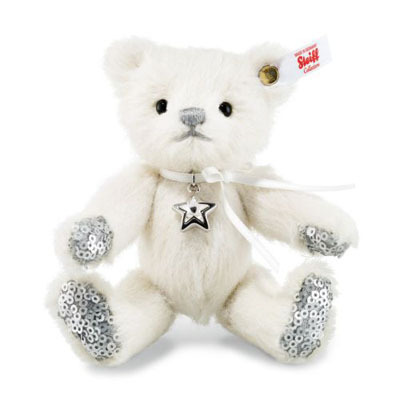 Stella’s soles and paws are decorated with silver-coloured sequins, while her silver nose has been stitched by hand. As well as this, she has a classy white coat of velvety-soft alpaca and a crystal star pendant around her neck. And the gold-plated Button in Ear distinguishes her as a member of our special Steiff collector’s edition. Let Stella brighten up your life!